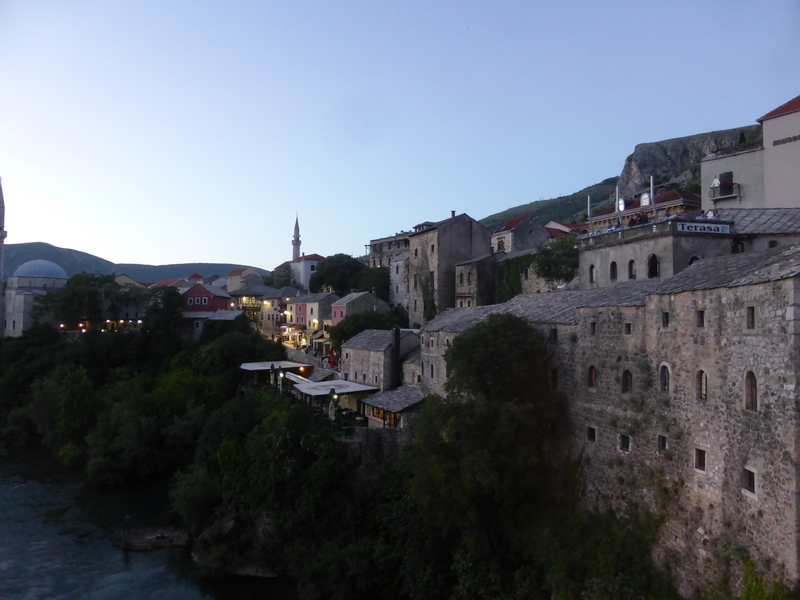 Mostar is so pretty that I took loads of photos. 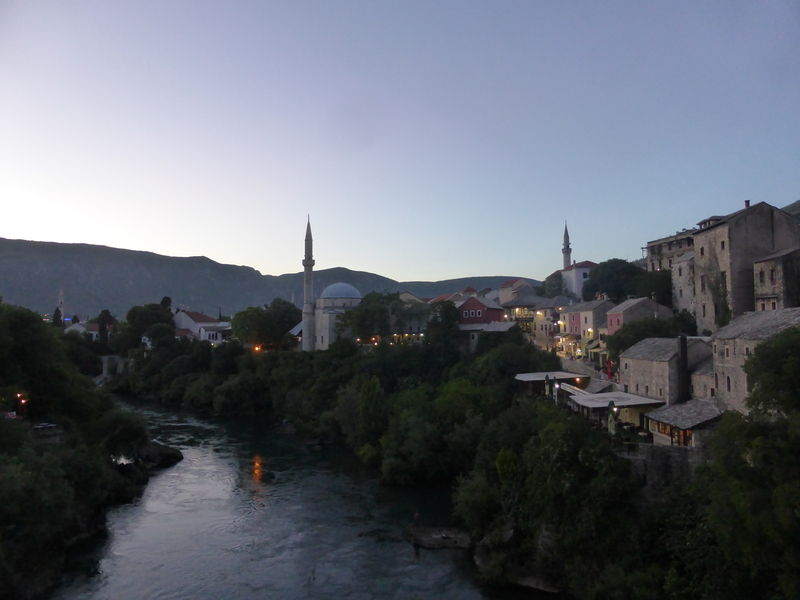 I could probably even write a post entitled “Here are pictures of Stari Most taken from 50 different angles” but instead I will settle for sharing a few of my favorite pictures of Mostar taken in the evening. 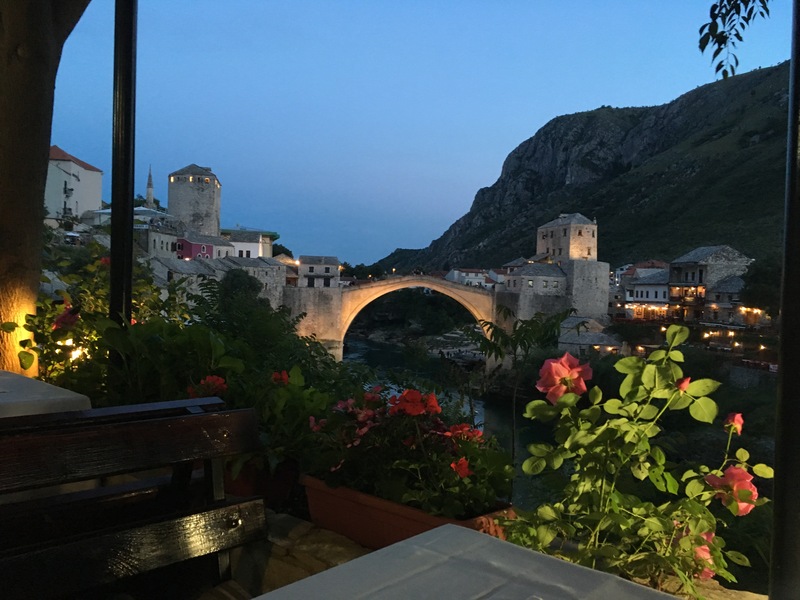 I always ate dinner at one of the restaurants with a terrace overlooking the river and Stari Most, and each time it felt magical. I didn’t read as I normally do when dining alone, I just soaked up the view. And I’m still not tired of it. 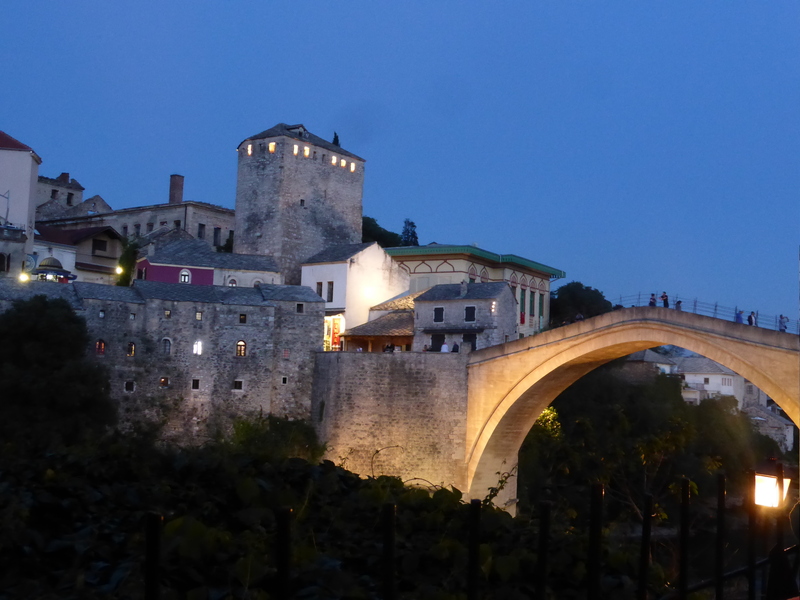 So if anyone wants me to take them to Mostar, just let me know. I’m definitely looking for an excuse to go back.